Typographer, trade unionist, municipal official. Born at Hamilton, Ontario on 22 April 1877, he came to Manitoba and was raised in the Snowflake area. In 1886, he moved to Winnipeg and worked in the composing room of the Manitoba Free Press, rising to the position of foreman. He became a member of the International Typographical Union, remaining active until 1949 when he was made an honorary life member. Fired from the Free Press for his political activities, Simpson worked for Columbia Press and for a time ran his own print shop. He retired in October 1948. He held executive positions on the Winnipeg Trades and Labour Council and, for a period, he succeeded William Ivens as Editor of the Western Labour News but resigned in 1920 over conflicts with the WTLC executive over editorial policy. In 1901, he married Maude Margaret Moore (1878-1960). They had four children: Marion Mercedes Simpson (1902-1987, wife of Allen Mensforth), William James Simpson (1906-? ), George H. Simpson (1910-? ), and Margaret Jean Simpson (1913-2002, wife of Charles Herbert Cowperthwaite). 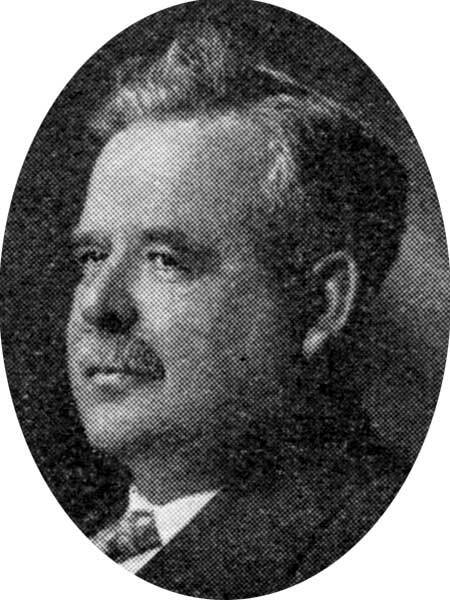 He served on the Winnipeg city council from 1915 to 1917, and from 1919 to 1934, representing the Independent Labour Party. In 1937, he broke with the ILP and ran for re-election as an independent candidate but was defeated. He was the first to receive a life membership in the Winnipeg Trades and Labor Council, was given the 40-year gold button for his time in the International Typographical Union. He died at Winnipeg on 19 January 1952 and was buried in the Elmwood Cemetery. “Birthday congratulations to,” Manitoba Free Press, 22 April 1919, page 11. Obituary , Winnipeg Free Press, 23 June 1960, page 32. Times of Trouble: Labour Quiescence in Winnipeg 1920-1929 by David Edward Hall, MA thesis, University of Manitoba, 1983, page 3. Obituary [Margaret Jean Cowperthwaite], Winnipeg Free Press, 4 January 2003. We thank Nancy Streuber and Bill Cowperthwaite for providing additional information used here.